Today is the first of October and that means that Halloween is creeping ever closer. We love a seasonally appropriate read. 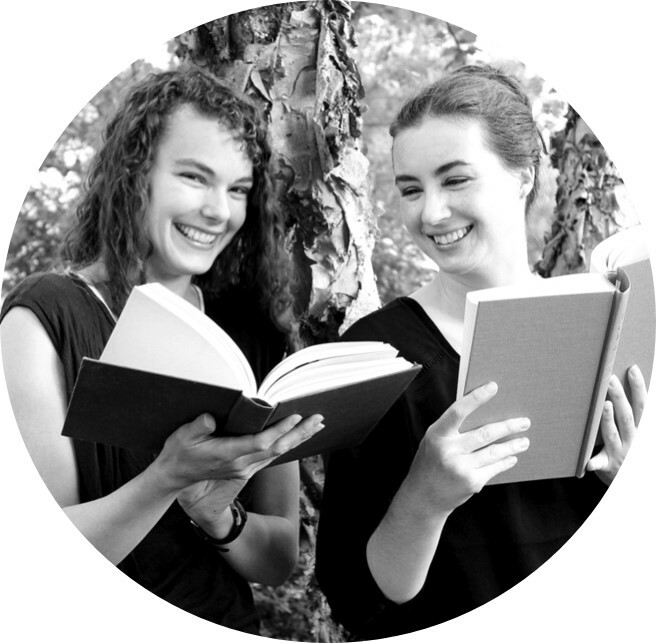 And, really, there is no reading season we love more than the Halloween season. It's is the perfect time to pull out a creepy book and settle in for a night of haunts. 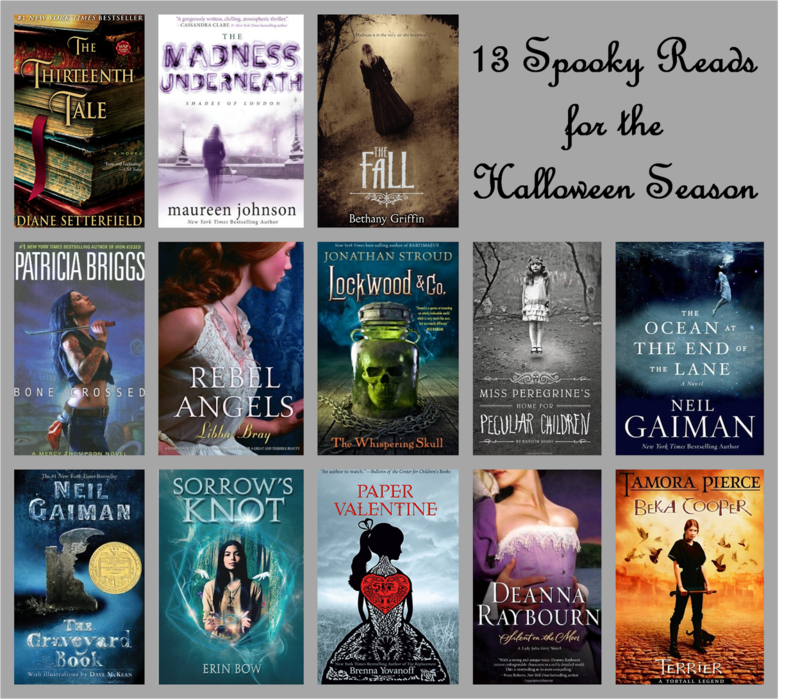 As thirteen is the scariest number, here are thirteen spooky reads. We'll freely admit that quite of few of these have caused us to lie awake long into the night. The Thirteenth Tale by Diane Setterfield: This is one of my favorite Gothic novels. It's so true in style and character to the original Gothic novels of the 18th and 19th century. The Madness Underneath by Maureen Johnson: I fervently wish that the third book in The Shades of London series was out this fall so I could listen to it for Halloween. These tales of London's secret ghost police and both creepy and funny. The Fall by Bethany Griffin: This retelling of "The Fall of the House of Usher" is absolutely perfect for a Halloween read. It is absolutely worthy in every way of Poe's original. Bone Crossed by Patricia Briggs: I love the Mercy Thompson series. Bone Crossed is the spookiest of the series, as Mercy goes to Spokane to help out a semi-friend with her ghost problem. Rebel Angels by Libba Bray: Rebel Angels is the second and scariest book in the Gemma Doyle series. The insane asylum and the girls in white totally creep me out. The Whispering Skull by Jonathan Stroud: The first in the Lockwood and Company series, The Screaming Staircase, was on my list of favorites last year. I am so excited to listen to the sequel this Halloween. Miss Peregrine's Home for Peculiar Children by Ransom Riggs: This book was my creepy Halloween read in 2012. The monsters are pretty terrifying. Ransom Riggs incorporates photographs into the story and some of them are pretty creepy too. The Ocean at the End of the Lane by Neil Gaiman: Neil Gaiman has a magic touch. This is a short little tale about terrible, scary, magical things that happen to a little boy. It is kind of perfect. The Graveyard Book by Neil Gaiman: If you want a Halloween read that is not too scary, but still is suited to the season, this is a good choice. Bod is raised by a gang of haunts in a cemetery. Sorrow's Knot by Erin Bow: If you want something really scary this is the book for you. The White Hands are petrifying. When I read a ghost story I want it to have a lot of atmosphere and this book has atmosphere to spare. Paper Valentine by Brenna Yovanoff: Hannah is haunted by the ghost of her dead best friend, Lillian. As if that isn't scary enough there is a serial killer about murdering young girls. They occasionally haunt Hannah as well. Silent on the Moor by Deanna Raybourne: Don't let the cover turn you off, the third in the Lady Julia Grey series is a fabulous Gothic tale. With its Wuthering Heights parallels, from the wild moor, to the returned gypsy, and the crumbling manor house, Silent on the Moor is just so dang creepy. Terrier by Tamora Pierce: Beka Cooper has some unusual talents. She can hear the ghosts that are carried by pigeons. Soon Beka is on the trail of the "Shadow Snake" who holds little children for ransom.